Of all home decorating tasks, one that is perhaps most neglected and intimidating is hanging wall art. We’ve all had those art-propped-up-against-the-wall, must-buy-a-spirit-level times or those painfully noncommittal moments of actually taking hammer to nail (“What if I change my mind? What if I hang it incorrectly?”). 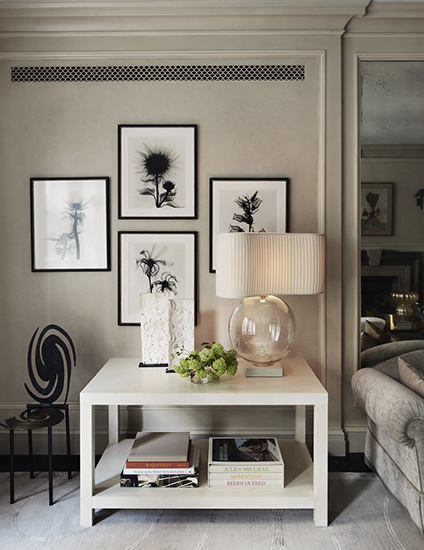 Thankfully there’s one easy and effective place to start – gallery walls. As Maurizio suggests, these arrangements make great use of your vertical space as well as being one of the most personal art display formations available. 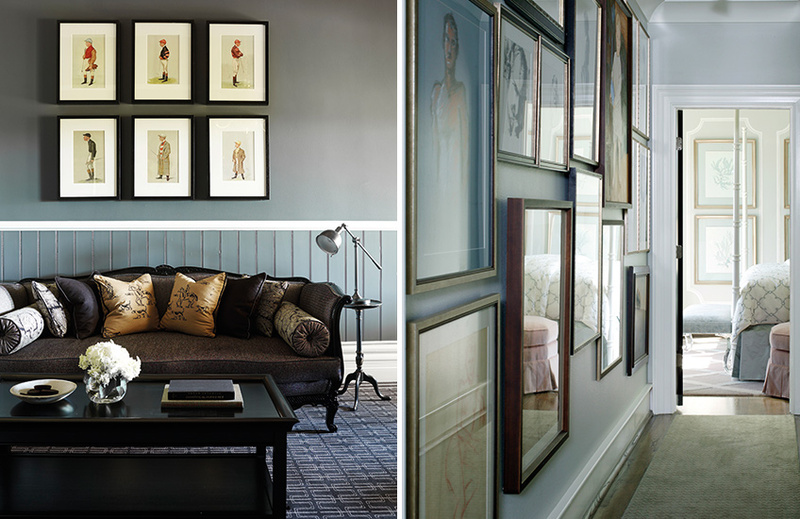 The beauty of gallery walls is their countless possibilities in both configuration and medium. A series of prints, shadow boxes filled with interesting artefacts, treasured kids’ drawings, personal photographs, mirrors or a mixture of any or all make interesting gallery wall choices. Even more, gallery walls lend themselves to basically any room from a spacious living room to a small-scale vestibule. Learn how to master the look with advice from these wall art ideas from art-loving designers. Forever pushing the boundaries of convention and going against the grain, Jean-Louis Deniot’s art choices often comprise of anything but canvases so his arrangements need to incorporate a variety of mediums. When it comes to his carefully considered gallery walls, he explains, “I really enjoy the repetition of the same format on a wall, with the distraction of having each pieces inside the frames being very unique. The repetition is like the beat in electronic sounds, it creates an exciting repetitive rhythm.” The framed butterflies in this opulent bathroom maximise the tall awkward spaces of the wall panelling without trying too hard and add a delicate addition to the Neoclassical space. “There is no single secret [to gallery walls],” Sandra Nunnerley reveals, “but one critical element is lighting. I like to develop “tiers” of lighting to ensure that everything will be viewed to the best advantage. I encourage clients to think about how to display works. For example, I like to mix different kinds of art such as tribal or folk art and sculpture with more everyday objects like books or whimsical things with no particular value. This allows the eye to make new and unexpected discoveries. In this living room detail, Sandra has mirrored the aesthetics of Michele Oka Doner’s Celestial chair with a four-part arrangement of Judith McMillan gelatine prints. Treating the gallery as part of the room’s backdrop, the designer isn’t scared to overlay the gallery with other complementary accents. Image Credit: Chango & Co.
Header image by Maurizio Pellizzoni.